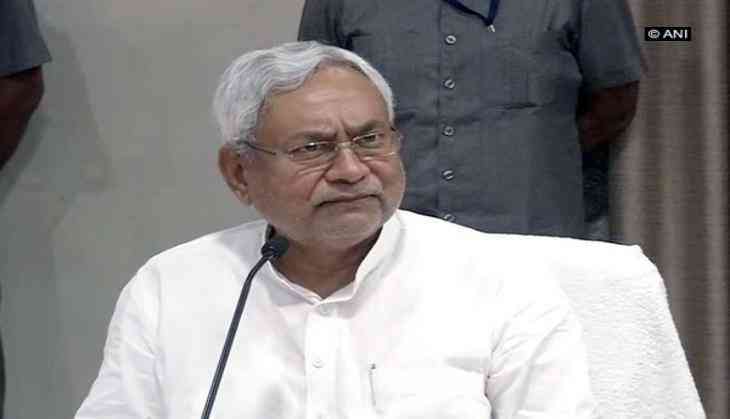 The Bharatiya Janata Party (BJP) on Tuesday backed Bihar Chief Minister Nitish Kumar's recent criticism on the Congress and said that no one can stitch cordial relationship with the grand old party. Asserting that during the ten year tenure of the UPA regime the Congress party committed corruption to the tune of Lakhs of crores, BJP leader Sushil Modi said that JD(U) leader K.C. Tyagi in a statement made it clear that the Nitish led party shared better relation with the saffron outfit. "The JD (U) in a statement had made it clear that it had more cordial relations with the BJP than Congress. No party can share a good rapport with the Congress. Congress in its regime of ten years had committed corruption to the tune of 10 lakh crore rupees. So we agree with Nitish Kumar's comments on Congress,' said Modi. On Sunday, Nitish held Congress responsible for the mess in the Opposition over the Presidential elections. His reported observation came after senior Congress leader Ghulam Nabi Azad had indirectly criticised Nitish Kumar for extending support to the National Democratic Alliance (NDA) Presidential candidate Ram Nath Kovind. The Congress should start work on an agenda only after the approval from other opposition parties, he said. "Opposition parties have to decide their role and they should start preparation for the 2019 Lok Sabha polls. But the opposition needs an alternative narrative, just a reactive narrative won't work."